Please enter an address, a city or a zipcode. Check out the links below for answers to common questions. Choose the color of your Flowerbomb bottle, dress it up with an accessory and engrave it for the final personal touch exclusively on the Viktor&Rolf boutique. The Secret Service program rewards your loyalty with gifts and special offers. Offer more than just a fragrance. Offer style. Get the ultimate touch with our exclusive deluxe wrapping by Viktor&Rolf. Enjoy member-only privileges when you sign up for our newsletter and create a personal account. You'll gain access to all the great features on our site, including. Luxurious and invigorating with addictive floral notes. Envelops your body with heavenly softness. Nectar bottle for a personal touch. freshness meet an addictive twist. bottle with a personalized engraving. Customization will require 1 to 3 days additional processing. Once placed, your order cannot be returned except when due to defect. Spicebomb Fresh captures a lighter, fresher, more vibrant iteration of the classic eau. An explosive concentrate of addictive freshness, Spicebomb Fresh cools down like a splash of water before exploding into seductive spice. Spicebomb Fresh is rated 5.0 out of 5 by 2. Rated 5 out of 5 by MrsSisneros from Favorite Purchased for my husband, love the smell, not soapy or too musky. Rated 5 out of 5 by 2Smooth from Spicebomb is the Bomb The Ladies love this scent and it last. They need to come out with a shower gel. Viktor&Rolf fragrances. A touch of magic in your mailbox! 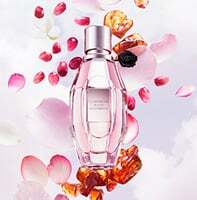 Sign up to receive news and exclusives from Viktor&Rolf fragrances. A touch of magic in your mailbox! Enjoy member-only privileges and have the magic delivered straight to your inbox. This site is intended for a US audience. Enter your email address below and we will send you a notification when this item becomes available.